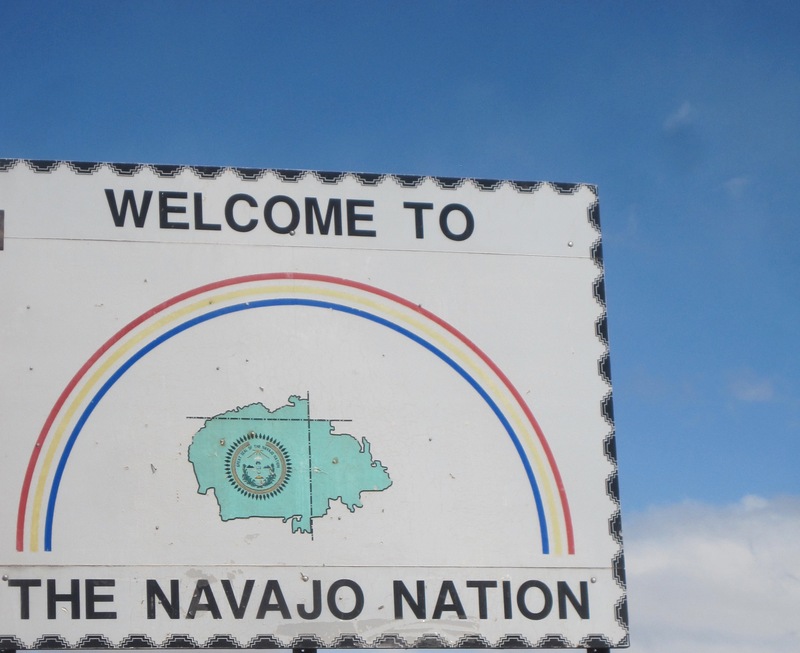 Today we have a guest post from Kristina M. Jacobsen, in memory of her friend and mentor Shirley Bowman, who, among other contributions, edited and translated the Navajo text in Jacobsen’s newly published ethnography of Navajo (Diné) popular music culture, The Sound of Navajo Country: Music, Language, and Diné Belonging. Shirley Bowman: Navajo language and culture teacher, world traveler, mother, grandmother, Navajo Nation citizen, professor, fellow “foodie” and tamale maker extraordinaire. These are some of the things that come to mind when I remember my teacher, mentor, friend and “mom,” Shirley Ann Bowman (1949-2017), who passed away on March 7. 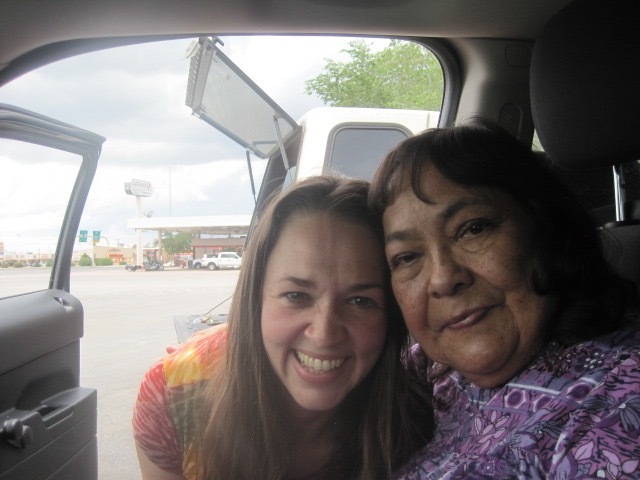 I met Shirley in the fall of 2008 in Crownpoint, when I began my research on Diné country western bands (“rez bands”) and was looking for a Navajo language teacher. She embraced me fully, immersing me not only in the Navajo language but what in it meant to be a woman in Diné society, my expected social roles, and how—as a non-Native, Anglo woman—to conduct myself accordingly. Born into the Tsénahabiłnii [Sleep Rock People] clan and born for Bit’ahnii [Folded Arms People], Shirley was quick to laugh, loved to go on adventures, and was full of joy, especially when talking about the Navajo language. She was exacting in her English and her Navajo: grammar, and proper spelling and saying things the “right” way was important to her (she referred to other versions of Navajo as “lazy tongue” Navajo), and this attention to detail is also something she passed on to her many students in Crownpoint, Alamo, and elsewhere. 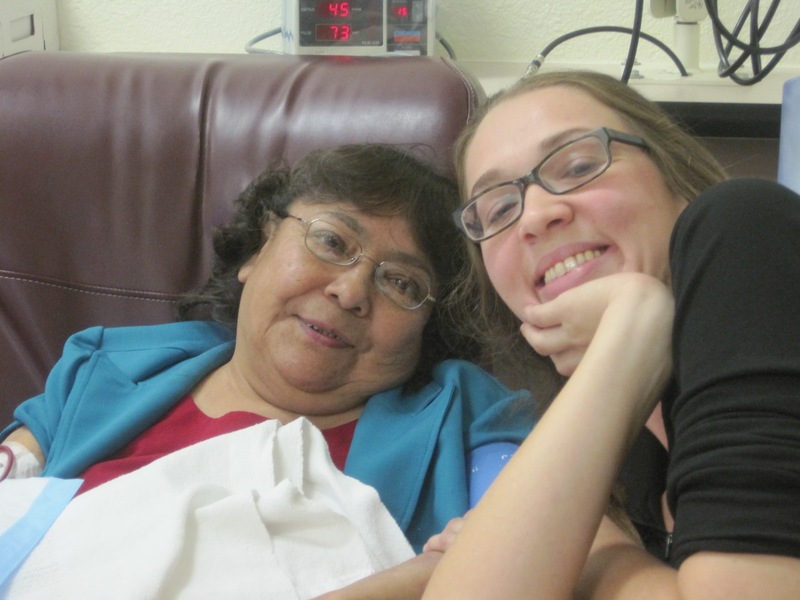 Shirley loved word play, double entendre, and stories about Diné cultural types. Referring to her own travels across the United States and her time spent working for the F.B.I. in Washington, D.C., Shirley used to tell me with a twinkle in her eye that “Navajos are like beer cans; they’re everywhere!” Once I began playing regularly with a country band in Arizona and related to her the complexities of being an Anglo (bilagáana) in an all-male Navajo country western band, Shirley decided I needed a stage name to mitigate—and make light of—some of these tensions. While the band suggested I invent a stage name communicating a non-existent Native heritage from a tribe “back east” because they “look white,” Shirley decided we should play on my gendered identity as an Anglo woman and named me “Sweet Temptation,” so that the band name would then be “Native Country and Sweet Temptation.” This name then became the fodder for many subsequent jokes between us for many years to come. Shirley was diagnosed with Type 2 diabetes in 1991, and began regular dialysis treatment for kidney failure the year we met in 2008. We did our daily lessons at the Crownpoint dialysis clinic where we also together read the Gallup Independent (a newspaper she had once worked for), discussed Navajo Nation politics, and where I would relay to her my most recent adventures with my band for her entertainment and advice. Shirley’s funeral fell on March 13, the same day my book on “rez bands” was published; and Shirley is in every page. She edited and translated most of the Navajo in the book, served as primary consultant for content related to Diné culture and history, and her humorous anecdotes and stories fill each chapter. When I was asked to sing a folk song at her funeral, I prefaced this with the Navajo language introduction she and I had worked on for so many months, together. But what I really wanted to play and didn’t—like so many Diné, Shirley was baptized Mormon and so the funeral was in an LDS Temple in Gallup and was thus a formal affair—were Shirley’s favorite George Jones cheatin’ songs, most notably “He Turned our Bedroom into a Battle Ground” and “The Race is On.” These songs, as she described them to me, humorously and aptly described the tumult that she had gone through in her primary romantic relationship over the years. Maybe someday Shirley will also make her way into a country song; her rich and fully lived life, and her close connection with livestock, would certainly warrant it. For now, I’m sitting with her memories, holding them closely, grieving her absence, and feeling thankful for how tremendously much, in the eight short years we knew each other, she gave to me, my life, and to this book as mentor, teacher, colleague and fellow member of the “sweet temptation” club. Ahéhee’ ntsxáago, shimáháą. Kristina M. Jacobsen is assistant professor of music and anthropology (ethnology) at the University of New Mexico. She also cofacilitates the UNM honky-tonk ensemble, is a touring singer/songwriter, and fronts the all-girl honky-tonk band Merlettes.